Dr. Mustafa Alkhawaja was raised in south suburbs of Chicago. He attended dental school at the University of Illinois at Chicago where he attained his DMD. 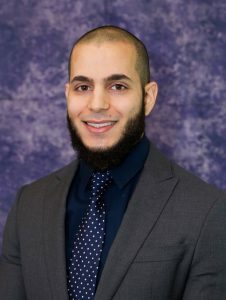 After graduation, Dr. Mustafa returned to the Chicago suburbs where he is now serving his community. His goal and passion has always been to provide quality care in the most comfortable setting possible. His love for dentistry ensures he continuously broadens his skills through continual education courses and seminars. This enables him to excel in his field and effectively provide a wide range of treatment options. Pinewood dentist Dr. Mustafa is a certified Invisalign provider, a great clear braces choice with no metal brackets or wires. He is a member of the American Dental Association (ADA), as well as a part of the local chapter – Illinois State Dental Society (ISDS) and The Chicago Dental Society (CDS). Outside the office, Dr. Mustafa enjoys spending his time with his wife. He enjoys outdoor activities and sports, as well as spending time at the gym focusing on his health.